This car was built in 1930. She wears a 1500 c.c. 4 cylinder engine and she’s really well made. The starting of this engine is most amazing, because it is totally silent! It has a dynamotor permanently coupled to the engine. The dyamotor works as a starter motor and as a dynamo simultaneously. I wander why no other car manufacturer has applied this idea. Berliet was a French manufacturer of automobiles, trucks and other utility vehicles, based in Vénissieux, outside of Lyons, France. Marius Berliet started his experiments with automobiles in 1894. 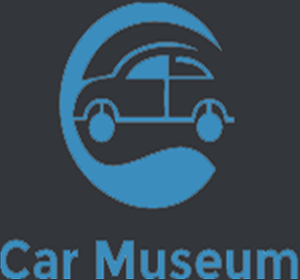 Some single cylinder cars were followed in 1900 by a twin-cylinder model. In 1902, Berliet took over the plant of Audibert & Lavirotte in Lyon. Berliet started to build four-cylinder automobiles featured by a honeycomb radiator and steel chassis frame was used instead of wood. The next year, a model was launched that was similar to contemporary Mercedes. In 1906, Berliet sold the licence for manufacturing his model to the American Locomotive Company. 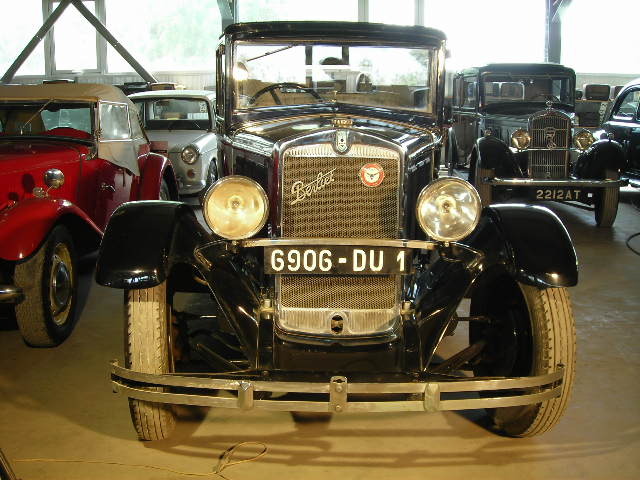 Before World War I, Berliet offered a range of models from 8 CV to 60 CV. The main models had four-cylinder engines (2412 cc and 4398 cc, respectively) and there was a six-cylinder model of 9500 cc. A 1539 cc model (12 CV) was produced between 1910 and 1912. From 1912, six-cylinder models were made upon individual orders only. 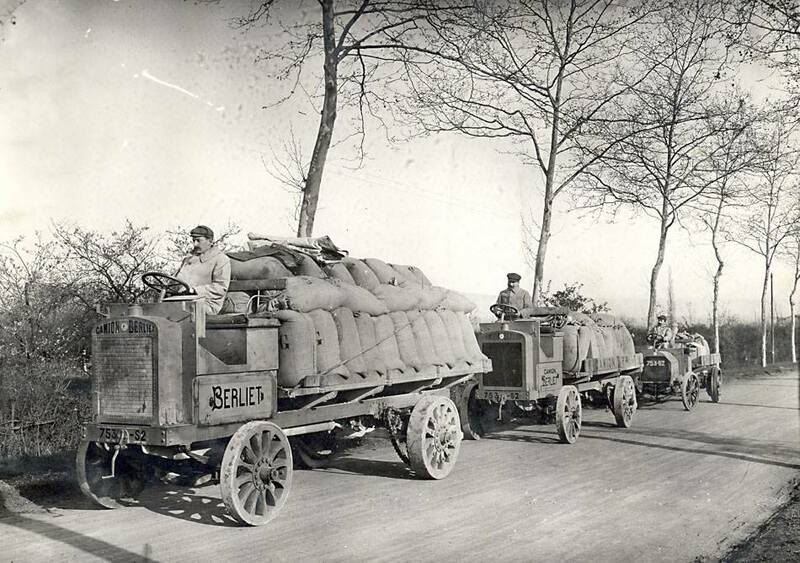 In 1917, Berliet started to build trucks for the French Army. 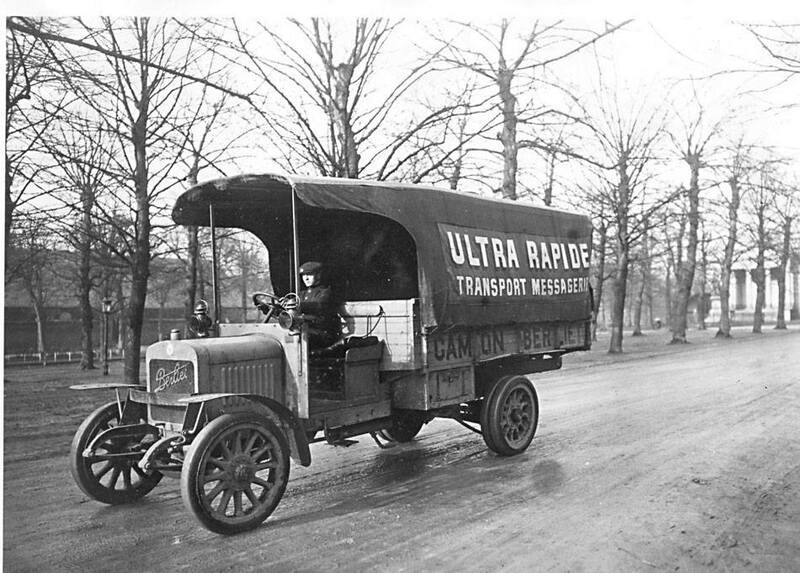 The company produced 40 trucks a day. After the war, 12 CV (2613 cc), 15 CV (3308 cc) and 22 CV (4398 cc) were produced. A new 7 CV (1159 cc) appeared in 1924. New six-cylinder models followed in 1927. From 1933, only four-cylinder models (1600cc and 2000cc) were offered. 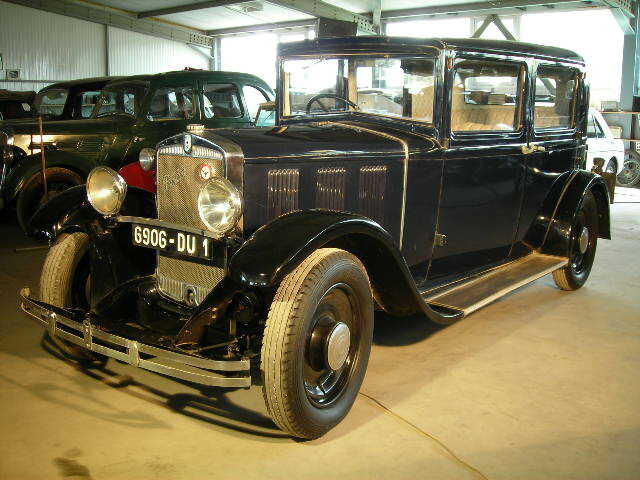 The last Berliet sedan from 1936 was Berliet Dauphine propelled by a 2-litre engine and using the body of a Peugeot 302B with a custom made hood and radiator grille. Passenger car production ceased in 1939 and after World War II, the company produced trucks only. Berliet is famous for building the largest truck in 1957, the T100 with 600 hp (447 kW). It was designed in 10 months at the factory in Courbevoie, outside of Paris. In August 1967, it was reported that Berliet had been taken over by Citroën, Berliet share holders receiving Citroën shares in return for their Berliet stock. In 1966, Berliet’s final year as an independent, they had produced approximately 17,000 units. Following the take-over the merged company stated that Citroën-Berliet would command 58% of France’s market for commercial vehicles above 6 tons. Citroen itself had been owned by Michelin since 1934 following a cash crisis of its own. By this time, Michelin owned both Citroën and Berliet. However, after the1973 oil crisis, Michelin decided to divest itself of these two companies in order to concentrate on its tire business. Thus, in 1974 Berliet was sold toRenault, while Citroën was sold to Peugeot. Renault then proceeded to merge Berliet with Saviem to form RVI. After the merger, the Berliet name was phased out and another French marque came to an end. Berliet designed and built the VXB-170 wheeled armoured personnel carrier for the French Army and others. Berliet 1911 at the railway station of Béziersin the south of France.